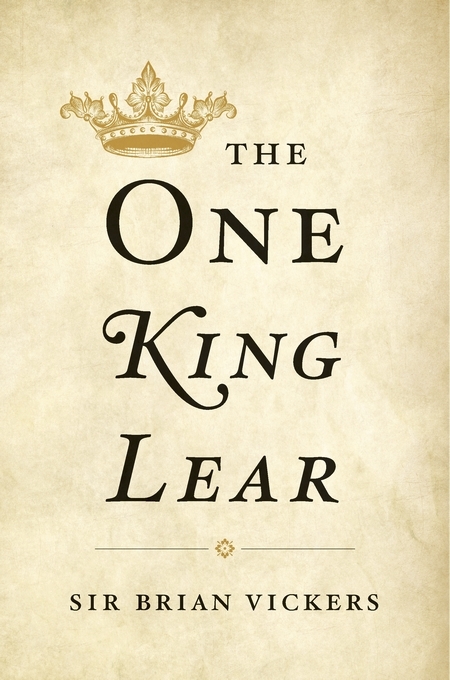 In this chapter I aim to give a brief description of the standard printing procedures in the age of hand-press books and how they affected the text of King Lear. It describes the mechanics of printing and the routines with which books were printed in this period, and is based on the standard scholarship, which I synthesize as clearly as I can. In the next chapter I discuss what I call the "dynamics of type­setting," the human choices by which the compositor adjusted text space, the extent and makeup of the author's text, to print space, as de­fined by each page within the total amount of pages estimated. At the risk of boring those familiar with bibliography and textual criti­cism, I need to be sure that readers understand the terms and tech­nical processes that feature in subsequent discussions. In the sixteenth and seventeenth centuries dramatists would sell their work to a theater company, which then effectively owned the play. In order to be performed legally the text would have to be approved by the Master of the Revels. For the printing of plays and of most other texts as well, the authorization for printing between 1586 and 1606 was done by sixteen disparate men employed by either the Arch­bishop of Canterbury or the Bishop of London for this task. How­ever, in 1607 the Master of the Revels won the right to exclusively authorize the texts of plays for printing. Although some unauthor­ized transactions took place, the vast majority of play books were legitimately sold by a theater company to a stationer (a term that then combined, in varying proportions, the roles of printer, book­seller, and publisher). Having bought a play, stationers could pro­tect their right to print it by entering it in the Register of Copies kept by the Stationers' Company, their guild organization. This step was not essential, but approximately two-thirds of all books in the period from 1557 to 1642 were formally registered. a booke called Mr. William Shakespeare his historye of Kynge Lear, as yt was played before the Kinges majestie at Whitehall uppon St. Stephans night at Christmas last, by his Majesties servantesplaying usually at the Globe on the Banksyde? This has all the signs of a legal entry, given that Buc was Master of the Revels, but for an absurdly long period scholars doubted its authenticity and that of the play. In their Preface to the First Folio, John Heminge and Henry Condell, actors who had been colleagues of Shakespeare since 1594, described themselves as friends who had taken on themselves the "care, and paine, to have collected & publish'd" his writings. Whereas readers previously had been "abus'd [deceived] with diverse stolne, and surreptitious copies, maimed, and deformed by the frauds and stealthes of injurious impostors," his works "are now offer'd to your view cur'd, and perfect of their limbes; and all the rest, absolute in their numbers, as he conceived them." We know much more about the provenance of Shakespeare's plays than his fellow actors did, who may have been unaware that several of the plays in the Folio were co-authored. With the phrase "stolne, and surreptitious copies" Heminge and Condell were referring to a small group of unauthorized publications, such as the spurious First Quartos of Romeo and Juliet (1597) and Hamlet (1603), for which Shakespeare's theater company released authorized texts in 1599 and 1604-1605, respectively. Unfortunately, some eighteenth-century editors misunderstood their diatribe as referring to the whole class of Shakespeare Quartos, most of which were perfectly authentic. It is much to A. W. Pollard's credit that he realized that the phrase referred only to this small group of what he called "Bad Quartos," comprising Romeo and Juliet, Hamlet, Henry V(\6oo), The Merry Wives of Windsor (1602), and Pericles (1609), although the nar­rative of piracy by which he accounted for their appearance is no longer accepted.